Recently, I've been putting several summer smoothies and smoothie bowls onto my feed and Instagram story but I haven't really been posting them onto this platform as much. 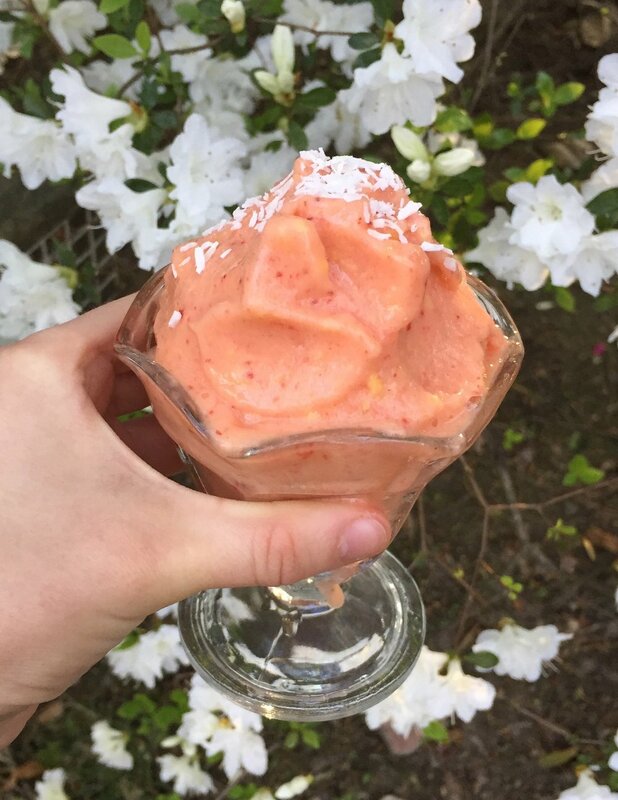 So, for National Smoothie Day, I've compiled a few I've made recently that have been featured on my Instagram! Can't wait to be making these fruity drinks and bowls all summer long. For all of them, just blend the listed ingredients and add more liquid and re-blend as needed. Enjoy! Fun, refreshing, and so simple! **To make bowl pictured at the top of this post, I simply added spinach to the sorbet base and topped with granola, shredded coconut, fresh strawberry, and fresh mango. Inspired by Lee From America's recipe! Creamy, filling, and low in sugar. Tangy, fruity, and a great way to get your greens! Blend together the coconut milk, pineapple, and mango. Pour half of the blended mixture (or less, depending on how many layers you want) into your glass. Add the frozen strawberries (all or just a few depending on how many layers you want) into the pineapple-mango mixture that is still in the blender. Blend on low until the strawberries are thoroughly combined in the mixture and pour into your glass. Repeat step 2 if you'd like one or two more layers to the smoothie. More layers create an ombre effect! However, doing more than two layers with the strawberry, you will most likely need a little more than 1/4 cup of frozen strawberry. Enjoy! Velvety, subtly fruity, and delicious. 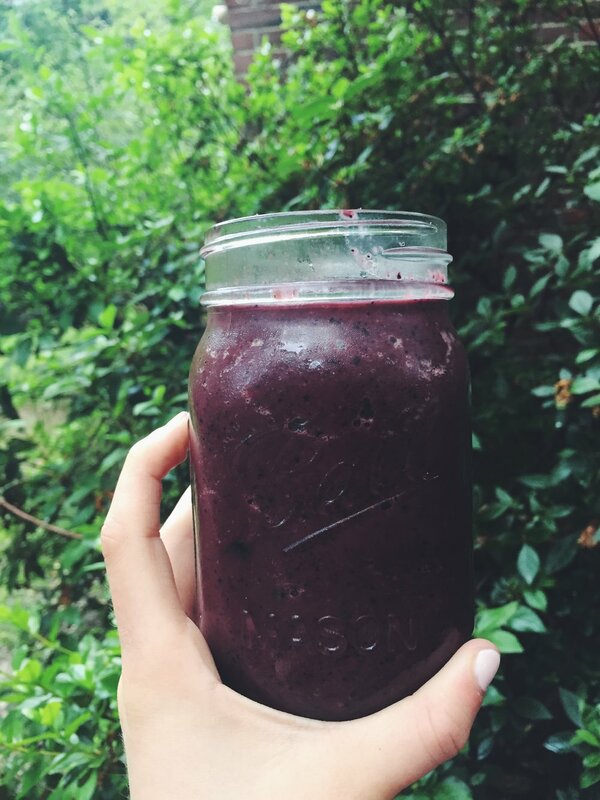 Tried to make a black and red smoothie in order to represent my college colors!